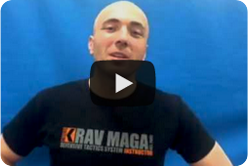 The Institute of Krav Maga offers exclusive Women’s Krav Maga Classes in our London region. Our Program includes Krav Maga Classes for Woman, it prepare females for the challenges the streets of London may hold on a daily basis. We aim to work towards a more confident you, enabling you to leave the office late at night or maybe the late night bus home with confidence. Our classes is not another fitness regime, we offer combination of things… this range from fitness, loosing weight but most importantly learning a new life skill in defending yourself. We encourage women to train with both male and female club members however, there are specific situations for women that require some extra training and more specific focus. Our highly trained team is here to assist you every step of the way. Try our classes by booking one of our great value introduction classes. I really wanted to train in Krav Maga to build my self confidence but I was unsure about joining the mixed groups, so I started out with the Women’s Only Programme. I have been training for 3 months now, and it is fantastic! I have learnt so much and met so many new friends. I have now started training with the mixed groups as well… she has taken me to a whole new level!